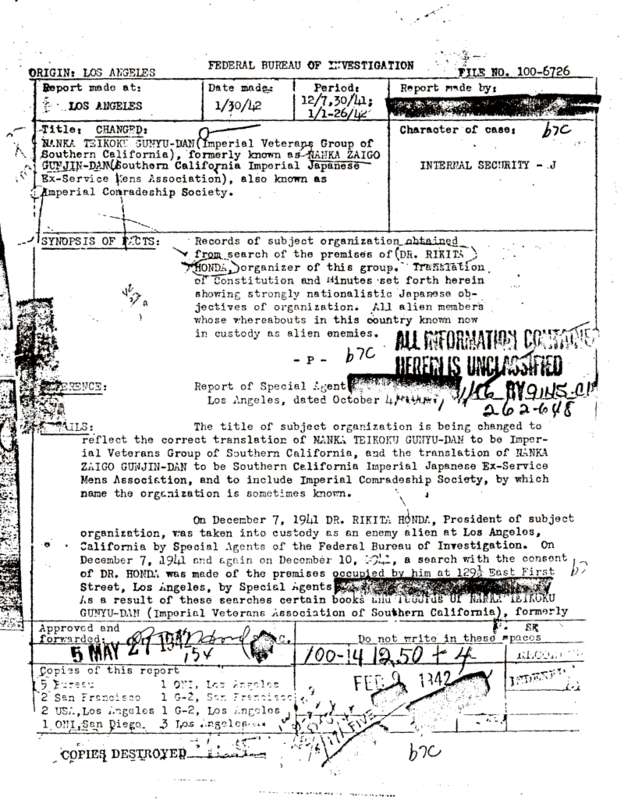 Document Notes: Gives a good overview of the situation regarding these organizations. Even the most obtuse reader should be able to see how organization such as those reported raised big red flags to those with responsible for national security. Those in the redress movement claim that there was no threat from resident Japanese and yet they also claim that those who were dangerous were rounded up right after Pearl Harbor.